It’s an afternoon for ladies who love jewellery – diamonds in particular. 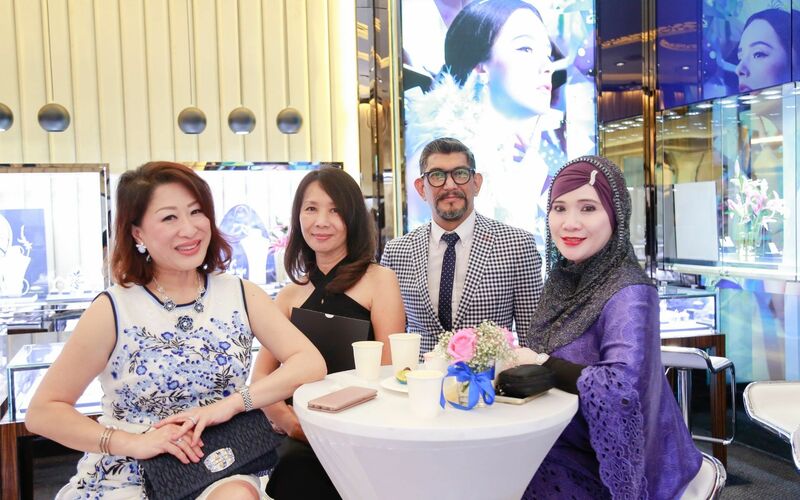 Set in The Gardens Mall boutique of Le Lumiere, Joel Santiago, associate director of the brand, played the affable host as he gave a talk about the king of gemstones while the women tucked into tea-time canapes. Naturally, when a few of the diamond-laden pieces were brought out to the ladies for a closer inspection, they couldn’t resist trying them on. The rings were especially popular, the brilliance and sparkle of the diamonds winking in the light. As a little souvenir, Le Lumiere had artist Vivian Lees draw a portrait of each of the ladies, which delighted them to no end.